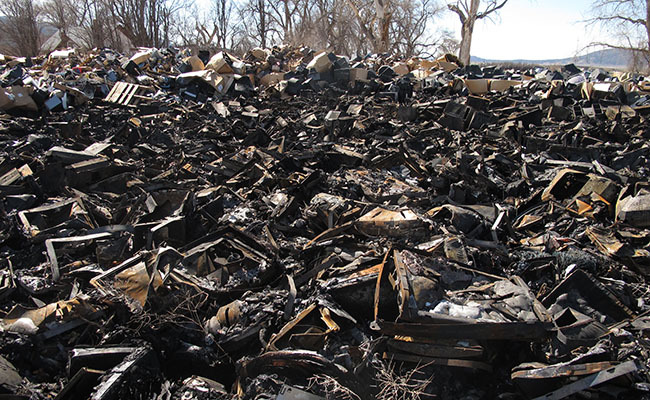 Please find links to interesting reporting on yet another irresponsible recycler – Stone Castle Recycling, and their enablers in Utah. 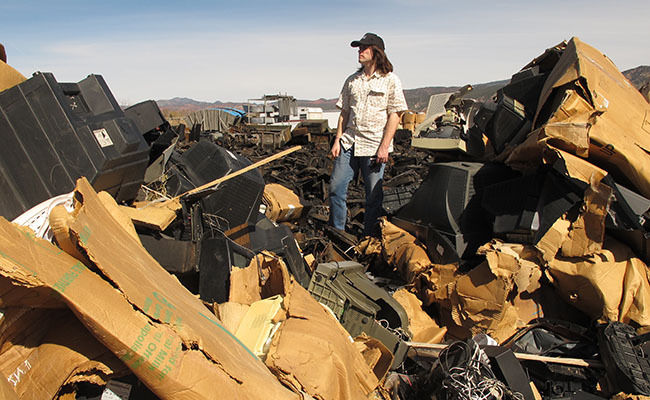 BAN’s researcher Eric Hopson scans the TV wasteland at Stone Castle Recycling, Parowan, Utah. Copyright BAN 2014. Stone Castle e-Waste fire, burned TVs looking westward. Copyright BAN 2014. Feel free to log in and comment on the story.